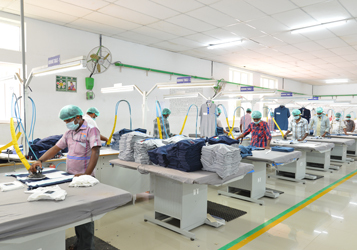 The company has established a Garment Unit near Coimbatore, Tamilnadu to manufacture knitted garments, with capacity to produce 1.5 Million pieces per year under the name Fashion Threads and 4.5 Million pieces per year under the name Accel Apparels..
Garment facility is fully equipped with state of the art equipments and robust systems for producing inner and outer wear. 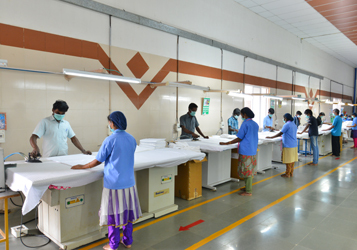 Top quality raw materials, modern machinery and efficient production techniques for manufacturing premium Quality products at competitive prices. 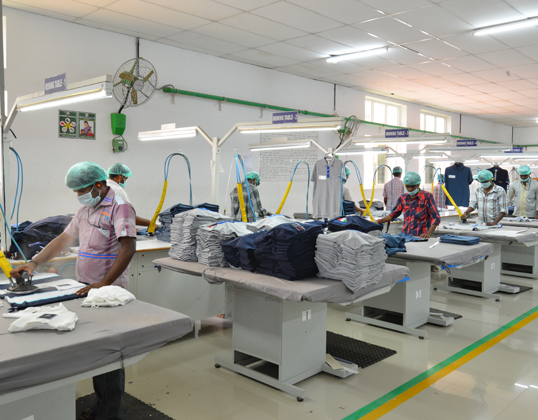 CAD CAM Facilities with Auto Cutting for fast and accurate garments construction. In house TAJIMA Embroidery machine for value additions. Organic, PIMA, Fairtrade and BCI certifications available across the value chain. Fully complaint in terms of International regulations on manufacturing practices.